What Are The Factors That Cause Adult Asthma And How To Identify The Symptoms? Asthma is an inflammatory condition of the airways in which passage of the air to the lungs decreases. 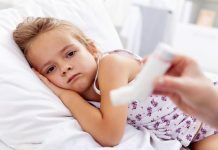 Asthma is caused by various factors that include environmental factors, biological factors, genes, dietary changes, and allergens [Asthma Causes]. Adult asthma is allergy related condition which in most cases is developed in childhood. It can cause wheezing, coughing, and shortness of breath which can worsen at night. Adult asthma causes inflammation of the airway and produces the characteristic asthmatic wheezing sound. Asthma attack occurs to an allergic reaction or as a part of a complex disease cycle which includes reactions to stress or exercise. In chronic adult asthma, inflammation can be accompanied by irreparable airflow limitation. Chronic adult asthma is characterized as an alteration of the construction and functions of elements of the airways. 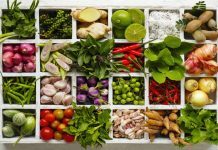 The changes interact with inflammatory cells and mediators to cause the characteristic features of the disease. Adult asthma occurs in both men and women of all ages and racial groups. Asthma is common in cold climates, developed countries and poor built-up neighborhoods. It is also caused due to the poor living condition of the sufferers. According to research, asthma can be caused by genetic factors. 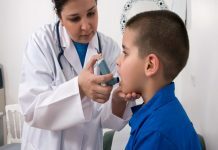 Family history is more likely the cause to develop asthma. The frequency of adult asthma is increasing and it is affecting 10 to 15 percent of the population. The three characteristics of adult asthma are airway limitation, airway hyper responsiveness and inflammation of the bronchi. There are two types of adult asthma: extrinsic and intrinsic. 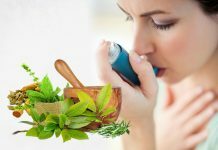 Extrinsic asthma: Extrinsic asthma is caused due to definite external causes. 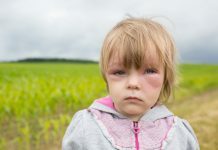 It occurs mostly in people who show a positive skin-prick reaction to universal inhalant allergens. 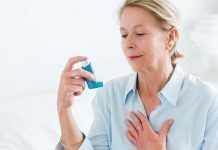 Intrinsic asthma: Intrinsic asthma starts in middle age. For intrinsic asthma, cause cannot be identified. Cigarette smoke is the powerful cause of adult asthma. 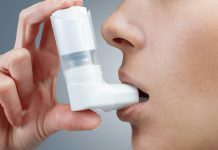 It is hard to tell whether someone has adult asthma or some kind of smoking-related illness because the symptoms can be similar. Symptoms can be managed by quitting cigarettes. Dust mites, infections, pollen, mold, strong odors and medications are the other causes of adult asthma. 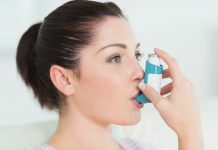 Hormonal fluctuations and changes also play role in adult asthma. 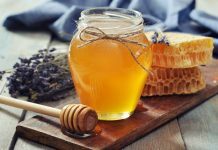 Several medications used by the elderly can trigger or exacerbate adult asthma. In some people, obesity increases the risk of developing adult asthma. People who are allergic to cats and dogs have an increased risk of developing asthma. 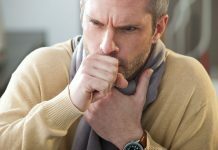 The first symptom of adult asthma is nonproductive cough. 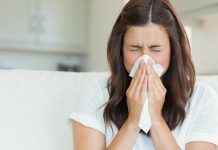 Some patients find cough more distressing than sleep disturbances and wheezing. Shortness of breath is the symptom of adult asthma. Some patients are not aware that they are experiencing shortness of breath. Such patients are at severe risk since they are less conscious of symptoms. 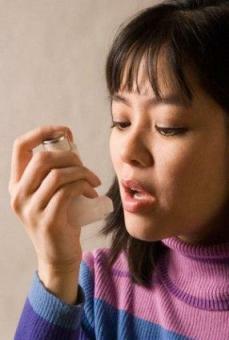 Wheezing occurs when the asthma attack begins. When it becomes severe, all breathing muscles become visibly active. In many patients, chest pain occurs. It can be very severe and the pain’s intensity is not necessarily related to the severity of asthma itself. Adult asthma can be a recurrence of your childhood asthma (Triggers of Childhood Asthma). People with adult asthma need to take preventive measures to protect their lung function.